Repair and fix IMEI NULL on ASUS Zenfone 5 – Not all ASUS Zenfone 5 users face this problem but when this happens to you we guess you will be really mad to handle and repair this little problem. What will you do if one day Zenfone 5 IMEI Null and SIM card not detected? 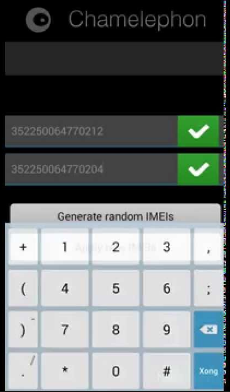 This is what Android geeks say “IMEI NULL on Asus Zenfone 5”. We will not let this down without any repairmen, especially if you have the only one phone. Your connection will completely lost and the will no internet connection or cellular connection, OMG this is a worst nightmare guys because you can not use internet connection or even just want to send a message / call anyone. Okay, we got it and understand your problem. Therefore we create this article to help you to repair NULL IMEI on your Zenfone 5. We tested this on ASUS Zenfone 5 with Lollipop version and worked perfectly. We think this will work on other any ASUS Zenfone 5 versions! The first step and the important thing we have to do is rooting, yes you need to root your Zenfone 5. You can root it by using SManager, just download it in the link we have provided and then install that application. Next, find default.prop file then just hit it! Hit “run”! , after you hit it then turn on the Airplane mode! The last step is restart your Zenfone 5! Then you may turn off again Airplane mode and enjoy your phone without same problem anymore. Belum ada tanggapan untuk "Finally IMEI NULL on ASUS Zenfone 5 Solved by doing this"